Wow! What a year! 2012 was very exciting – both for me personally and for Bundle of Books. Lots of things have changed; I left my horrible job, had a couple of interesting work experience opportunities, joint-bought a flat and got a new job (one that I actually like!). My reading habits have adapted, unfortunately meaning that I haven’t read anywhere near as much as last year. This is probably due to shorter lunch breaks and the fact that I now walk to work instead of getting a bus everyday – bad for my To Read pile, but good for my health! I may not have read as much as I would have liked, but I’ve discovered some fantastic books! I’ve learnt about some talented début authors such as Téa Obreht, Erin Morgenstern and Eowyn Ivey. I’ve become hooked on the popular fantasy series A Song of Ice and Fire by George R. R. Martin. However, 2012 was not just full of great reading; I’ve visited some wonderful bookshops, I’ve taken a sneaky peek at other people’s shelves, read a bit of poetry and watched some good (and some not so good) adaptations. Most exciting of all, in August, I was Freshly Pressed! I was so thrilled to see all of the comments made by new (and old!) followers and can still hardly believe that my post was chosen to be on the WordPress homepage for the day – so thanks to everyone who took the time to visit my blog! 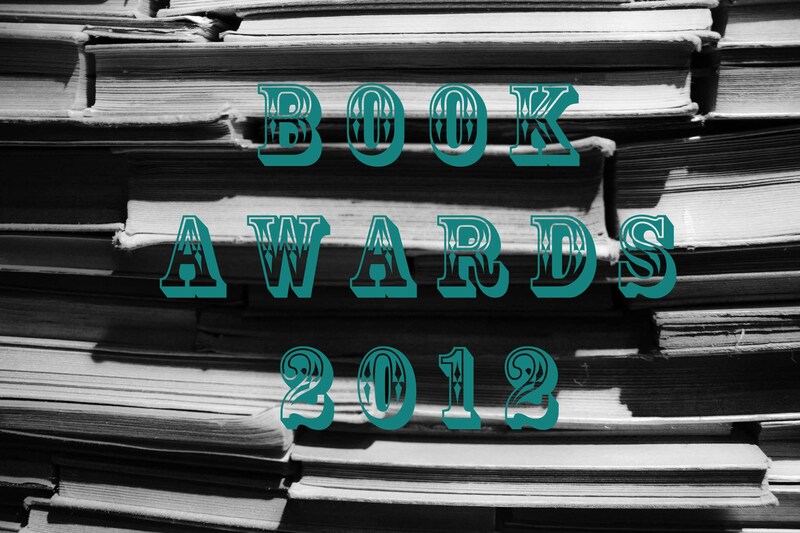 And now it’s time to take a look at some of the books that most stood out to me in 2012 (using the same categories as last year). Between the odd characters, bonkers plot and quirky writing, this book can be a great laugh. But it’s also got a dark and twisted feel to it, so it’s not necessarily a light read. Sometimes funny and dark can be the perfect mix. This brilliantly written and well thought out book was heartbreaking and hopeful all at once. The Snow Child shows the beauty and sorrow of life, the kindness of strangers and if it doesn’t bring just a little tear to your eyes, there must be something wrong with you! Quite simply, this book was not for me. I had been hoping for a light read with a hint of magic and a bit of romance. I found it was silly and boring and not at all enjoyable. Obviously it just wasn’t my sort of thing! There were a few contenders for this prize (A Song of Ice and Fire series, The Night Circus and The Snow Child), but Just Kids wins hands down. I spent a whole Sunday with my nose stuck between the pages and loved every moment. I’ve heard rumours of a possible second book – I hope it’ll be as amazing as this one! It’s been impossible to narrow this category down, so I’ve decided to have joint winners. Both choices are novellas by French authors, and funnily enough, I found out about both from Literary Relish. Colette’s wonderfully quirky novella about a disturbing love triangle between a newly married couple and a cat is a must for every cat lover. The writing is excellent throughout, and the icing on the cake has to be the beautiful descriptions of Saha the cat. 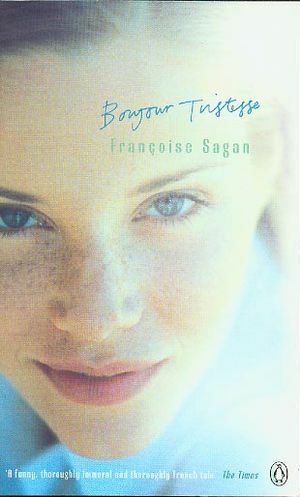 Written by Sagan at only eighteen or nineteen, Bonjour Tristesse is beautifully stirring. This book could have won this award based on the first paragraph alone! I’ve made my decisions, but do you agree? I’d love to know what your choices are this year! Let me know which books made you howl with laughter, which you had to read with a box of tissues standing by and which you simply couldn’t put down. These categories are great and I love, love, love that you have Collette on here. I need to add some of these to my “to read” pile including “Distant Hours” which I have been meaning to get to. Best wishes for 2013! Thank you! I’m glad you love Colette too – I can’t believe I had never heard of her until last year! Eventually… That’s the problem – too many books, too little time! Hope you get around to them soon! Excellent choice and thanks for the mention! We loved so many of the same books this year. The Snow Child made my top list as well 🙂 simply stunning. Sounds like you had quite the year! I’ve only read Neverwhere from your list. I’ll put the rest on my TBR. I used to work with a guy who read while walking to work. I don’t suggest that–I would fall into every hole, bump into every person, and run into every sign. Not sure how he managed. I’ve actually seen a couple of people reading and walking. I really don’t know how they do it! It’s definitely not for me, although it would help me to get through a lot more books! Well I’m quite looking forward to reading the beautifully written book by the 18 year lid, if my 46 year old unpublished ego can take it…! Haha! I hope you enjoy it – let me know what you think! I will. Love your blog, and thanks for stopping by mine. Congrats on your new flat and your new job. It’s so nice that you found a job that you like – that’s so rare nowadays. As far as these books go, there are many that I haven’t read, but I will make sure I check them out :). Happy New Year and thank you! 🙂 I do feel very lucky – it’s been a fantastic year for me! Let me know if you try any of the books. It’d be nice to see what you think too!